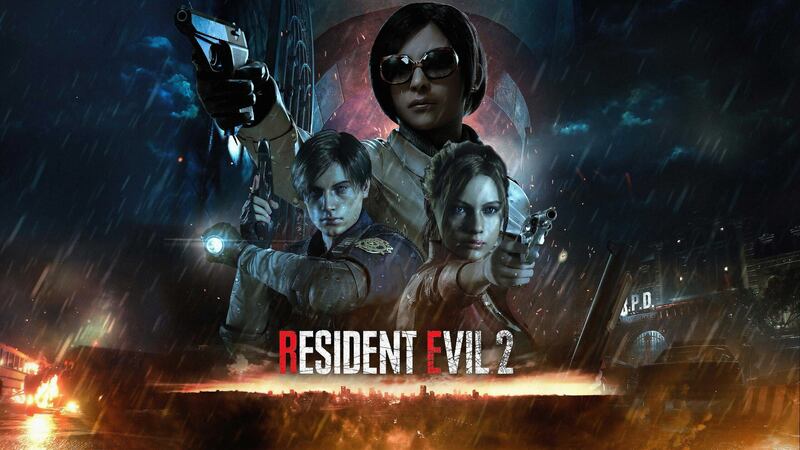 Highly anticipated: The remake of Resident Evil 2 lands on Friday, but Capcom lifted its review embargo today, and critics are pleased. Satisfying old fans with a classic experience while still making it inviting for a younger modern gamer is not always a straightforward endeavor. However, it would seem that for the most part, the reboot lives up to the expectations. Judging from the headlines alone, Capcom nailed it with the new Resident Evil 2. “The Resident Evil 2 remake is one of the best Resident Evil games ever” — The Verge. “Resident Evil 2 is everything a video game remake should be” — Polygon. “Resident Evil 2 Remake: A Phenomenal Horror Game Made Even Better” — ComicBook. Let’s dig beneath the headlines to see what makes this refresh of the survival horror classic so good. It's not all just shiny glitter though. Gameplay is just as, if not more, important. Fortunately Resident Evil 2 delivers by not only paying homage to its 1998 namesake, but also RE4 and RE7 regarding mechanics according to The Verge. “This is the second time Capcom has attempted an ambitious Resident Evil remake. The first, 2002’s Resident Evil for the GameCube, was a visually astonishing reimagining of the first game in the series. But for all its graphical artistry and gameplay tweaks, it played more or less the same as the original. “Resident Evil 2 is different. And really, how could it not be? The GameCube Resident Evil remake came out well before Resident Evil 4 revolutionized the action game genre, let alone Resident Evil 7’s bold first-person reassertion of the series’s horror relevance. Those two games were by far the best received in the series since the original Resident Evil 2, and it’s appropriate that they form the basis of the new remake. Its similarities to RE7 should be apparent since RE2 is built on the same engine, but it is not the same first-person experience that was RE7. Resident Evil 2 stirs feelings of nostalgia even with its makeover, but it brings that nostalgia in a new and unexpected way according to Polygon’s review. “The walking dead stalk me through the station. They break through windows and doors, upending my expectations about how Resident Evil’s zombies are supposed to behave. I shoot them in the head, missing every third shot because of their unpredictable bobbleheaded movements, but they don’t stay down for long. I’m wasting ammo, constantly. Other aspects instill nostalgia in very familiar ways. Telegraph, which calls RE2 “survival horror perfection,” says what the remake is really good at is building your terror. “Headshots connect with real viscera, with location-specific damage seeing flesh slewed off. Which only makes the zombies that shamble towards you regardless of all the more horrifying. Even those ‘basic’ zombies are terrifying, too, with a level of detail and individuality that make them the most convincing undead I’ve seen in a video game. Each missed shot adds a layer of panic and they are all a genuine threat, particularly if they are in a pack. Ammunition is limited and combat is often best avoided. It complains that instead of using camera work to build tension and horror, the remake relies on tougher zombies. General likes and dislikes are all fine-and-good, but what you are probably wondering is how well it runs on PC. This concern is valid considering the variety of rig setups. Reading the minimum and recommended specs for the game usually aren't revealing enough. Fortunately, PC Gamer includes its PC specs and how the game performed on it. "[We ran RE2] with a GTX 1080, 16GB of RAM, and an i5-6600K overclocked to 4.0GHz I was able to play Resident Evil 2 at 1440p/60fps on almost max settings, and it ran smoothly—albeit with some judder when sprinting into a large, open area such as the RPD main hall. "Graphics options Anti-aliasing (FXAA/TAA/FXAA+TAA/SMAA), texture quality, texture filter quality (anisotropic 2-16x), subsurface scattering, contact shadows, screen space reflections, particle lighting quality, ambient occlusion (SSAO limited/SSAO full/HDAO/HBAO+), motion blur, graphics API (DX11/DX12)"
Game Debate benchmark RE2 prior to release using the Steam demo. It gave it a 9.5 for optimization and posted an informative graphic to let you know which settings impact performance the most. "The further right the bar goes, the more demanding the graphics option is. In the case of a bar going left of zero, such as Shadow Cache and Rendering Mode in the Resident Evil 2 Remake performance chart below, this indicates that enabling this graphics option actually improves frame rates. "First things first, a large number of RE2 Remake's graphics options are related to post-process effects and therefore have little bearing on performance. Options such Bloom, Lens Flare, Depth of Field, Film Noise and Lens Distortion are all optional visual features with barely any impact on frame rates. These settings all come down to personal preference rather than performance. Capcom has gone in really heavy with these effects. Turning everything on can lead to a slightly blurry, indistinct image quality. At times, playing on Low can actually look better than Ultra because of this. When it comes to these effects you'll need to choose between cinematic quality and clarity." It is worth noting that Metacritic's aggregated review score for the PC (88) was lower than the PS4 and XB1 scores (91 and 93 respectively). Being that PCs vary and the Master Class holds games to higher standards, a lower score is probably not that surprising. However, an 88 is still a respectable mark. Remakes generally have some big boots to fill. Just porting a beloved game to a current generation of hardware with a new coat of paint is usually not going to cut the mustard in today's more diverse gaming market. The reboot ideally needs to appeal to three sets of people: those looking to relive a 20-year-old experience, those wanting classic gaming with a new modern aesthetic, and those who may be new to the title or franchise. This balance is not always easy to strike, but Capcom seems to have done a good job finding a fair middle ground with Resident Evil 2. Samsung Galaxy S10e review round-up: The best phone of 2019?